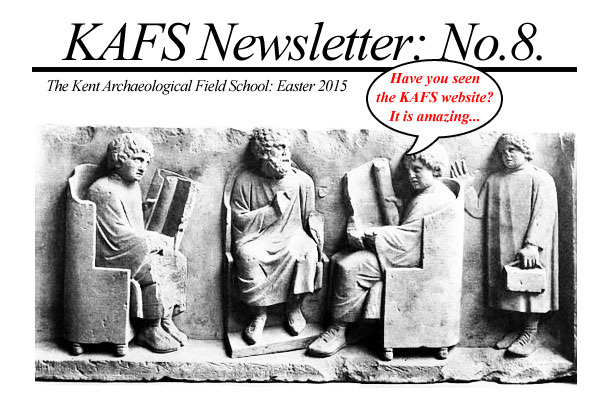 This Newsletter is a supplement to the normal quarterly newsletter and focuses on the courses available at the school. Join us on Friday 22nd May 2015 at 5.00am on an exclusive visit inside the stone circle to watch the sunrise. Friday 22nd May 2015. 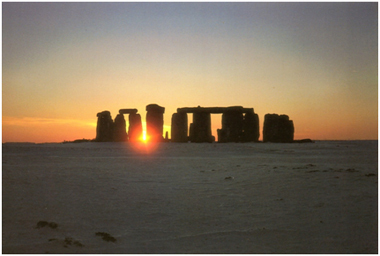 Summer Sunrise from inside the stones of Stonehenge with Dr Paul Wilkinson. Â£75 for members with only four places available. Stay at the nearby Amesbury Travelodge for Â£45! See www.kafs.co.uk for further details. A hidden complex of archaeological monuments has been discovered around Stonehenge, showing that it was at the centre of a series of ancient ritualistic structures. The finds, dating back 6,000 years, include 17 previously unknown wooden or stone structures, as well as dozens of burial mounds. They were located using underground scanning technology. Most of the monuments are merged into the landscape and invisible to the untrained eye. The four-year study, the largest geophysical survey undertaken, covered an area of five square miles and penetrated to a depth of three metres. Prof Vincent Gaffney, the project leader from the University of Birmingham, said: "Stonehenge is the most iconic archaeological monument, possibly along with the pyramids, on the planet. 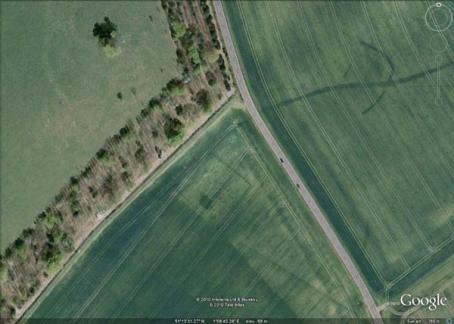 For the past four years we've been looking at this amazing monument to see what was around it. This project has revealed that the area around Stonehenge is teeming with previously unseen archaeology. "New monuments have been revealed, as well as new types of monument that have previously never been seen by archaeologists." Among the new discoveries are massive prehistoric pits, possibly created with reference to astronomy. 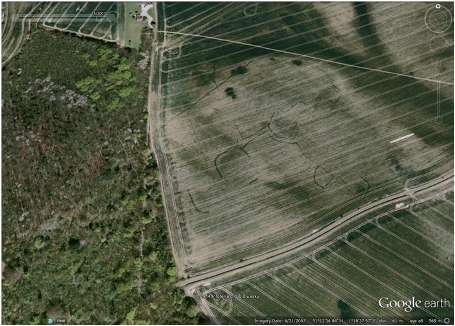 The many burial mounds include a barrow 100ft long within which signs of a large timber building were found. 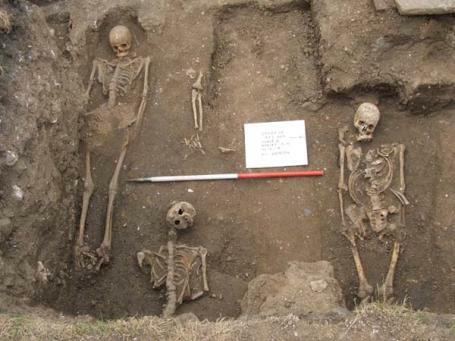 Evidence suggests this was the site of complex rituals involving the dead, including the removal of flesh and limbs. On 1st December the Government announced its intention to dual the single-carriageway stretch of the A303 between Amesbury and Berwick Down, including a 2.9km bored tunnel under the central part of the Stonehenge World Heritage Site (WHS) but south of the henge itself. The project is one of a number of Department for Transport schemes to improve traffic flow along the A303 / A30 / A358 corridor, aimed at boosting economic and housing development in the South West. Whether relief of traffic congestion will make much difference is questionable since it is recognized that such benefits are often not realised in practice and road widening in itself usually leads to further congestion within a few years. The main concern at Stonehenge, however, is the threat posed by the tunnel and its associated road engineering works to the 27sq km of archaeological landscape surrounding the Stones.The whole area, together with a similar landscape at Avebury, was designated a UNESCO World Heritage Site (WHS) in 1986. Such Sites are recognized to be of 'outstanding universal value': unique and irreplaceable properties that are part of the world heritage of mankind as a whole. At Stonehenge, the A303 passes right across the WHS, a distance of some 5.4km from Countess Roundabout on the A345 to the east, to Longbarrow Roundabout on the A360 to the west. Of this, almost 2km at the eastern end is already dual carriageway - and that damage is already done. However to build the 2.9 km tunnel, major earthworks would be involved at both ends, including deep tunnel cuttings, twin portals and huge, grade separated junctions on the eastern and western WHS boundaries. These works would measure up to 500m in length at either end - and, at the eastern end, need to be accommodated as much as possible within the existing cutting. But at the western end there is no valid reason for them to be within the WHS at all - and that is what a 4.5km tunnel could deliver. The construction works would destroy all archaeological remains in their way. 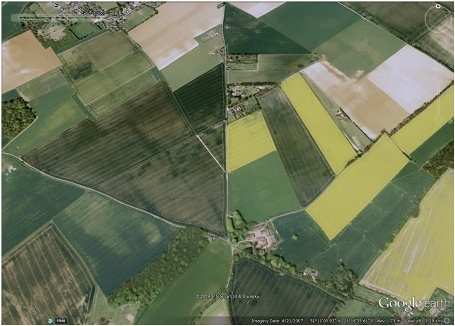 They would scar the landscape with massive modern interventions resulting in permanently dominant 21st-century features in a landscape specifically designated for its Neolithic and Early Bronze Age remains. Under Article 4 of the World Heritage Convention, it is the duty of each State party to "ensure the identification, protection, conservation, presentation and transmission to future generations" of its World Heritage Sites. Each State is committed to "to do all it can to this end, to the utmost of its own resources and, where appropriate, with any international assistance and cooperation, in particular, financial, artistic, scientific and technical, which it may be able to obtain." It is impossible to reconcile this explicit undertaking with the road scheme now proposed for a WHS that embraces the world's most famous prehistoric monument. It's also difficult to understand the support for this planned violation voiced by two of our premier conservation bodies: English Heritage and the National Trust , which both cite the "benefits" the tunnel would bring to the WHS. "We're continuing to work with the Government and partner organisations to look at how we best deliver a world class solution for one of the most important pre-historic landscapes in Europe." But no other heritage or environmental body appears to have stepped forward in support of the project, with Friends of the Earth, the Campaign to Protect Rural England and the Council for British Archaeology (CBA) all expressing strong reservations. The tunnel "would have major implications for the archaeology", said Mike Heyworth, director of the Council for British Archaeology. "We should be asking whether a major expansion of the roads network at Stonehenge just to meet traffic needs is the most appropriate way to deal with such a site." "Associated portals and dual carriageways could have a highly adverse impact on other parts of the world heritage landscape that cannot be set aside, however great the benefits of a tunnel." Why is the Natonal Trust so ready to sacrifice our heritage? So why should the National Trust and English Heritage pre-judge what our Government can afford? No doubt English Heritage, a Government quango, is obliged to look to cost savings. The National Trust, however, is actively campaigning for a 24.7km bored tunnel for HS2 under the Chilterns Area of Outstanding Natural Beauty, some eight times longer than the Stonehenge tunnel proposal. Both organisations have failed to condemn destruction of parts of a WHS protected under an international legal agreement. Does the Trust only have its eye on the main chance of restoration of the part of the WHS it owns? Besides these two heritage bodies, the scheme's supporters in the main are road widening lobbyists. Local Economic Partnerships of the South West want a few minutes knocked off journey times. Local residents are also fed up with summer and weekend traffic jams, often caused by drivers slowing down for sight and a selfie of the Stones, and with drivers rat-running through nearby villages. Some say the situation has been deliberately allowed to continue so as to precipitate impetus for road widening. Improvements could, however, be implemented straight away with road design enhancements and traffic management measures to alter drivers' habits - such as road-user charging for non-local traffic at current peak travel times, and devices designed to make rat-running less attractive. Ground conditions remain unchanged. Furthermore, the River Avon, whose catchment area includes the WHS, is designated a Special Area of Conservation, protected under European Law (Habitats Directive (92/43/EEC)). The designation here is specifically for Annex I habitats for five aquatic Ranunculus species, and for Desmoulin's whorl snail among Annex II species. Water flow and quality are thus of paramount importance. Any decisions on tunnel length, depth and portals will need to take impacts on hydrogeology and ecology into account. There will be drainage during construction work and rainwater run-off from completed road surfaces to monitor. Further to these, appropriate measures must be employed to deal with unexpected accidental chemical spills in the vicinity. It is understood that work is already under way on investigation into what may be feasible in terms of tunnelling at Stonehenge. The Government has agreed to include ICOMOS-UK and the UNESCO World Heritage Committee in its further discussions on the way forward. Simon Thurley, English Heritage's Chief Executive, said in his press statement of 1st December: "This is about investing in the future. We have a responsibility to future generations to get this right as we provide a world-class solution for a world-class place." Quite so: and no better case for putting enough money where the mouth is. Meanwhile the Stonehenge Alliance, a group of national non-governmental organisations, continues to campaign for a tunnel that is at least 4.5km long. Such a tunnel might begin within the eastern cutting for the already dualled section of the A303, and end beyond the western boundary of the WHS. A 'Save Stonehenge World Heritage Site' petition , launched on 28th October, has already secured over 13,000 signatures and more are urgently sought to change Government's mind. Clearly, a tunnel of some 6km that avoids the WHS and its setting entirely must be the ultimate goal. Funding should be found and, given the vast sums the Government is proposing to spend on new roads, this should be perfectly feasible. 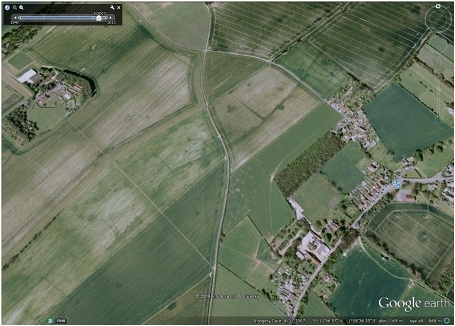 Anything short of a 4.5km road tunnel would result in permanent damage to archaeology, landscape and setting. The current plan would meet virtually none of the Government's international commitments and, if implemented, serve as a lasting indictment of our treatment of the surroundings of a place that is known and esteemed throughout the World as the icon of our nation's heritage. It would be infinitely better to leave well alone than to do the wrong thing. Kate Fielden is an archaeologist and environmental campaigner, and Hon. Secretary to the Stonehenge Alliance. She has been involved in discussions about the management of the Stonehenge and Avebury World Heritage Site for over 20 years, taking part in a number of Public Inquiries into planning and road proposals. Her article first appeared online in The Ecologist, 13 December 2013. More information: the Stonehenge Alliance is supported by Ancient Sacred Landscape Network; Campaign for Better Transport; Campaign to Protect Rural England; Friends of the Earth; and RESCUE: The British Archaeological Trust. 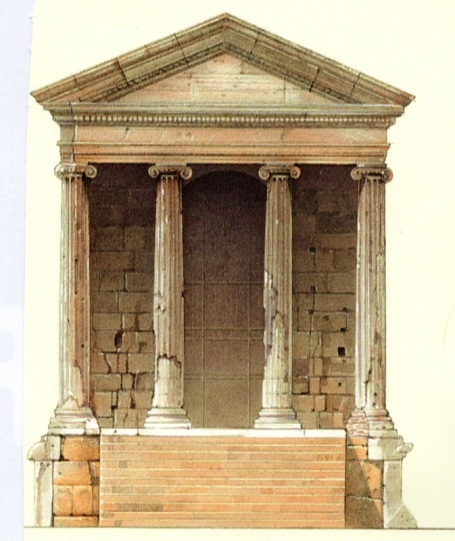 Study Roman buildings in Rome with Dr Paul Wilkinson. 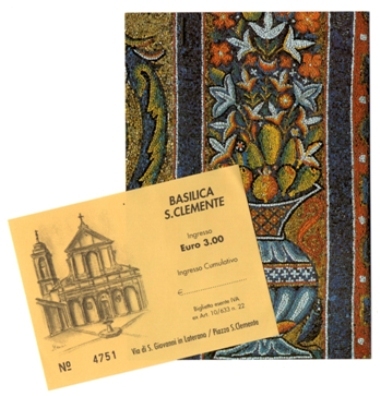 Friday 1st to Monday 4th May 2015 with the option to stay at the British School in Rome with exclusive access to some of the most famous Roman buildings in the world. Cost is Â£75 which includes all entrance fees but not flights or accommodation. A busy day begins at the Pantheon, followed by Trajan's Column, Trajanâ€™s Forum and the Roman Forums. 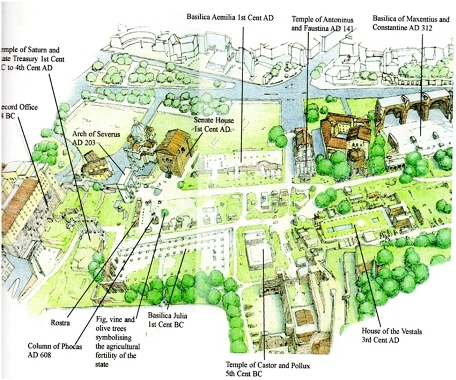 After lunch we will visit the Arch of Constantine and continue to the Roman Houses excavated under the Church of Ss. Giovanni e Paolo on the Caelian Hill and visit the important Late Roman church of San Stefano Rotondo. The Pantheon is a building which ranks with the Parthenon in Athens, and Saint Sophia in Istanbul as one of the landmarks in world architectural history. The present building is the work of Emperor Hadrian, and can be dated by brick stamps to about AD 126, although the inscription across the pediment reads, "M.AGRIPPA.L.F.COS.TERTIUM.FECIT", meaning "Marcus Agrippa, son of Lucius, having been consul three times, built it." This dedication refers to a previous structure on the site, built by Marcus Agrippa, that had burnt down. Another inscription in much smaller letters records a restoration by Severus and Caracalla in AD 202. The Pantheon was a temple dedicated to all the main Roman deities and possibly represented the all containing cosmos. It is a wonder of construction and mathematical harmony. The harmony is most obvious in the way the architect used the same dimensions for the interior height and for the diameter (145 Roman feet, 43.2 metres) which means that a sphere resting on the floor would fit inside, just touching the walls, and reaching the top of the vault. Technically, the Pantheon owes its design and quality to the use of concrete and brickwork for the structure of its immense dome; it was only in 1958 that the Pantheon lost the world record the largest concrete span in the world. The Pantheon offers us a glimpse of a Roman building more or less in its original state. The structure of the building is virtually intact, it is the decoration that has gone, including the statues of the gods and the gilding of the ceiling decoration that must have made the dome look like the heavenly sphere of all the gods that the name Pantheon evokes. The Pantheon has survived because, after it was closed in the fourth century by the first Christian Emperors, and sacked in AD 410 by Alaric, it was saved from destruction by Pope Boniface IV, who received it as a gift in AD 608 from Phocas, the eastern Roman Emperor. Next we will visit Trajanâ€™s Form (with a special access pass) and continue to the Roman Forumâ€™s. 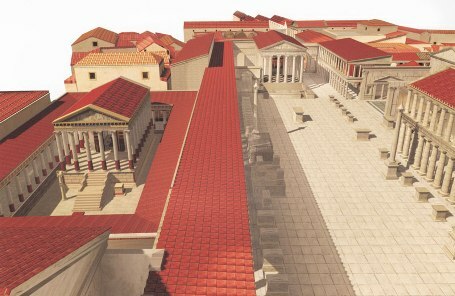 The heart of ancient Rome was the Forum. It has rightly been described as the most famous meeting place in the world, and in all history. No other equally small area â€” it is barely 5 acres in extent â€” has seen such a multiplicity of buildings and historic events. Its mass of ruins is one of the most imposing testimonies to Roman life that antiquity has handed down to us. Here was the nucleus of the business and commercial affairs of the empire, as well as the centres of government life, where elections were conducted and where every political event occurred. This is the place where the body of Julius Caesar was burnt by vast excited crowds, and where Antony delivered the funeral speech that Shakespeare later imagined and immortalised. It was here that in AD 69 the elderly Emperor Galba was thrown from his travelling-chair and murdered. It was here that the mythical twin brothers Castor and Pollux, sons of Jupiter, were seen watering their horses and telling the crowds that the Roman army had won a great victory over the Latins at Lake Regillius. 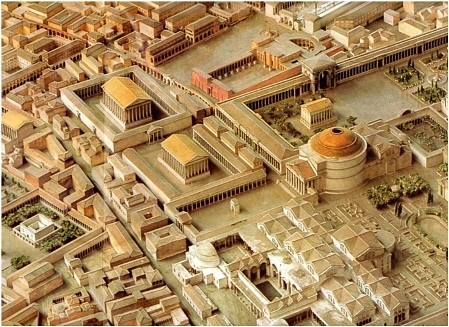 What we see today is the late Antique modelling of the Forum after the fire of AD 283, by then it was already a thousand years old. The Arch of Constantine I, erected in c. 315 AD, stands in Rome and commemorates the Roman Emperor Constantineâ€™s victory over the Roman tyrant Maxentius on 28th October 312 CE at the battle of Milvian Bridge in Rome. It is the largest surviving Roman triumphal arch and the last great monument of Imperial Rome. The arch is also a tour de force of political propaganda, presenting Constantine as a living continuation of the most successful Roman emperors, renowned for their military victories and good government. The arch was dedicated on 25th July 315 CE on the 10th anniversary of Constantineâ€™s reign (Decennalia) and stood on Romeâ€™s triumphal route. The monument is an imposing 21 metre high and 25.6 m wide rectangular block of grey and white Proconnesian marble consisting of three separate arches: one larger central arch with a shorter and narrower arch (fornix) on either side. All three arches express the same ratio of height and width. Dividing the arches are four detached Corinthian columns in Numidian yellow marble, each stood on a pedestal and topped with an entablature. Above the entablature, and as it were extending the columns, stand four pedestals, each carrying a statue representing a Dacian prisoner. Even more colour was provided through the use of purple-red porphry as a background for the sculpted Hadrianic Roundels, four on each faÃ§ade, green porphry for the main entablature frieze, Carystian green for the statue pedestals and Phrygian purple for the statues themselves. To the emperor Flavius Constantine the Great pious and fortunate, the Senate and People of Rome because by divine inspiration and his own greatness of spirit with his army on both the tyrant and all his faction at once in rightful battle he avenged the State dedicated this arch as a mark of triumph. 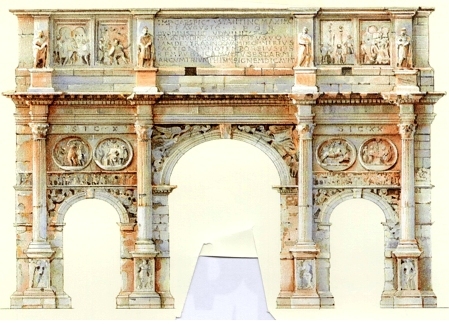 The Arch is a huge conglomerate of imperial Roman sculpture as many parts of it were recycled from earlier 1st and 2nd century CE monuments, notably the Luna marble panels of the attic which were taken from the Arch of Marcus Aurelius (c. 176 CE). There are 8 (3x2 m) marble panels in total, four on each faÃ§ade, showing scenes where the emperor, re-cut to resemble Constantine, is either at war (south side) or conducting his civic duties (north side). Eight white Luna marble medallions (tondi) on the north and south faÃ§ades are from a now lost monument (130-138 CE) in honour of Hadrian and each is 236 cm in diameter. Set in pairs, scenes they depict include a successful lion hunt, a boar hunt, a bear hunt, and sacrificial ceremonies in honour of Hercules, Apollo, Diana and Silvanus; all are carved in high relief. The two inner central arch reliefs and the upper panel on each side of the arch are part of the Great Trajanic Frieze which was removed from the Basilica Ulpia in Trajanâ€™s Forum. These were also altered to suit the purposes of the new monument and use white Pentelic marble. The first of the two frieze panels within the central arch depicts Trajan or Domitian on campaign riding a horse and charging barbarians but with the head once again re-worked to look more like Constantine. The second panel shows Constantine being crowned by Victory and flanked by two females possibly representing Honour (dressed as an Amazon) and Virtue (in armour). The eight Corinthian columns were taken from a 1st century CE Flavian monument (now lost) and the Dacian prisoners standing above each of them were probably part of an unknown monument to Trajan. The arch does however have sculpture made specifically for the monument. The frieze scenes situated below each pair of medallions are 1 m high and commemorate Constantineâ€™s military victories showing the siege of Verona (south faÃ§ade, left side), the battle with Maxentius (south faÃ§ade, right side), a scene addressing the public in the Roman Forum (north faÃ§ade, left side) and a gift-giving ceremony or largito (north faÃ§ade, right side). Other original sculpture includes river gods above the two smaller arches and two victories over the larger arch on both faÃ§ades. Each column base also carries sculpture depicting winged victories holding palm fronds, Roman legionaries and captives. On each of the short sides of the monument there is a single round sculpture depicting the Sun (east side) and Moon (west side), both riding chariots. Below these is a frieze showing the entry into Rome (east) and departure from Milan (west). The monument suffered in later times, becoming a part of a fortress under the Frangipane in the Middle Ages before being restored in the 15th century CE. In c. 1597 CE Pope Clement VIII removed one of the yellow marble columns to use in a doorway of the St John Lateran church, replacing it with a purple one. However, extensive cleaning in the early 21st century CE has restored the monument to some of its former glory so that it now stands proud besides its illustrious neighbour the Colosseum of Rome. After tea we will visit the Roman Houses excavated under the Church of Ss. Giovanni e Paolo on the Caelian Hill and visit the important Late Roman church of San Stefano Rotondo. On Saturday 2nd May we will visit the Colosseum, the Gladiatorsâ€™ barracks and the Church of Clemente, Neroâ€™s Golden House and the Baths of Trajan. On Sunday 3rd May we will visit the Palatine Hill-home of the Emperorsâ€™, the Circus Maximus and Roman buildings in the vicinity including the Baths of Caracalla (with access to the underground works). Monday 4th May will see us along the Tiber discussing the Theatre of Marcellus, then spending the rest of the day exploring the Capitoline Hill with the Temple of Jupiter the Best and Greatest, the Tabularium, and the bronze statue of Marcus Aurelius. 3rd-12th April. The Roman Villa at Teston: A classic Roman villa dig with a twist, as well as excavating and mapping the main villa we will be investigating the surrounding Roman landscape. 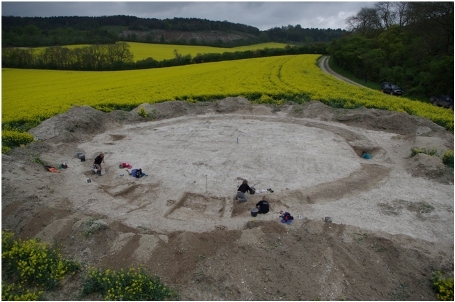 Excavation by the Kent Archaeological Field School over the Easter and May Bank holidays in recent seasons has solved an archaeological mystery that that had eluded archaeologists for the last 100 years. In 1872 Arthur Fremling found in his hop gardens the remains of a Roman bath house (Fig, 1) and the find was described as being â€˜about four English miles from Maidstone, on the left side of the river, are to be seen the remains of a villa.............the situation is pleasant, and as is usual in Roman sites, well chosen, being on a crest of a gently sloping valley looking over the river [Medway]â€™. Last year a geophysical survey took place down slope from the CAT discoveries and possible masonry walls identified. 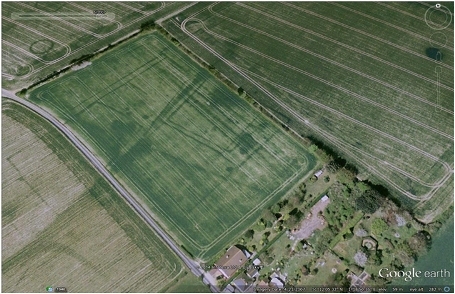 Subsequently the Kent Archaeological Field School were invited by the owner to investigate the site and a field walking weekend in March identified an area of disturbed Roman masonry below that of the CAT discovery and above that of the geophysical survey. 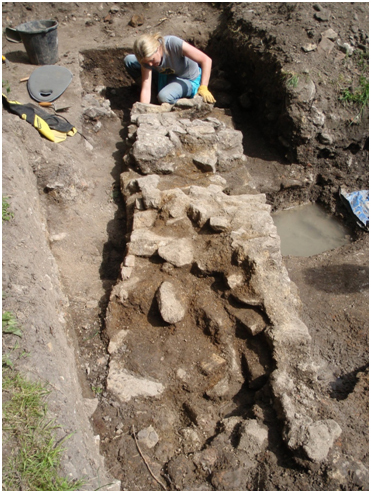 Hand digging of test pits identified a substantial deposit of Roman building material and on opening up the trench the south wall stretching for 39m was exposed and running east-west, At each end substantial towers or pavilions were also exposed. Rooms with hypocaust heating were exposed to the north and stretching into the adjoining field and towards CATs investigations in 1991. Roman Italy-excavate Neroâ€™s Roman Palace at Oplontis next to Pompeii: An unforgettable experience of having exclusive access to the World Heritage Site of Pompeii. Dates are from 1st June to 12th June 2015. Places are restricted so book early. 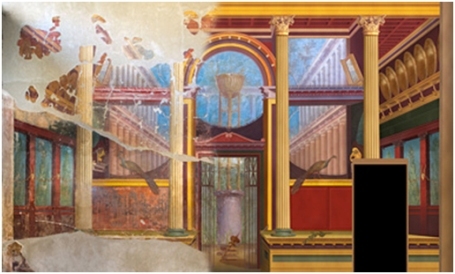 The Oplontis Project began in 2006 with the study of the site known as Oplontis situated next to Pompeii in Italy. 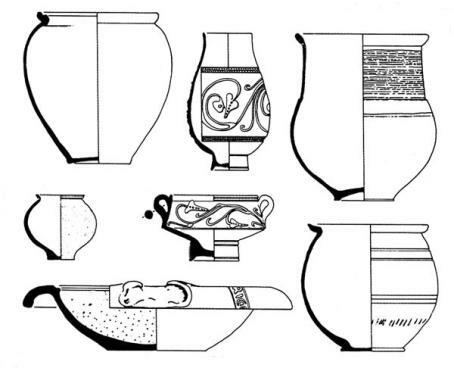 The work is sponsored by the Centre for the Study of Ancient Italy at the University of Texas in Austin. Its two directors are John R. Clarke and Michael L. Thomas. 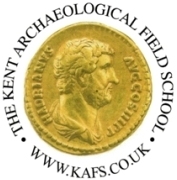 In addition Paul Wilkinson and the Kent Archaeological Field School, Faversham, Kent have been excavating every year since 2006. Investigation of Prehistoric remains at Hollingbourne: A week of excavation of Prehistoric features in the landscape building on our recent work on Bronze Age round barrows and a prehistoric henge. Dates are 4th July to 10th July 2015. The Roman Bath-house and Estate at Abbey Fields, Faversham: Join us on 25th July to 14th August. A Roman building which is now beginning to reveal its secrets. This is an ideal training ground for budding archaeologists. Excavation on site is 25th July to August 14th. The training week runs from August 3rd to 9th 2015, and is held in the mornings at the Field School and in the afternoons on site. Hours are 10am to 4.30pm for the duration of the dig. Please ensure you have gloves, sun cream, lunch and water. 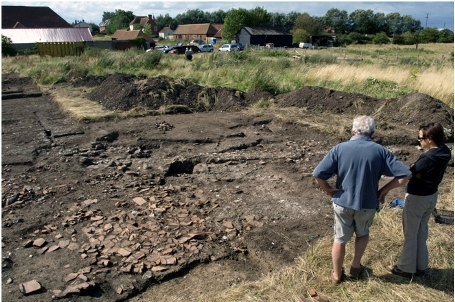 To contact the Site Director-Paul Wilkinson please phone 07885 700 112 or email info@swatarchaeology. 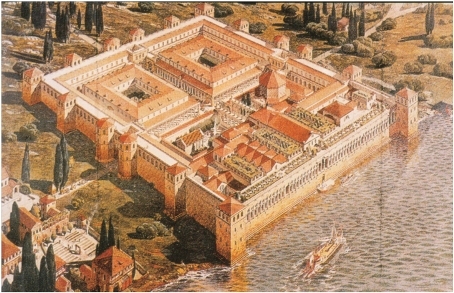 Diocletianâ€™s Palace in Split, Croatia with Dr Paul Wilkinson: September 12th and 13th 2015. An exclusive visit to one of the most famous Roman Palace's in the world- the Palace of the Emperor Diocletian at Split in Croatia. Cost is Â£75 which includes all entrance fees but not flights or accommodation. We will also visit the Split Archaeological Museum, the nearby Roman town of Salona and the Venetian city of Trogir founded by the Greeks. Saturday 12th September 2015, In the morning we will meet at one of the main gates for a tour of this wonderful building. 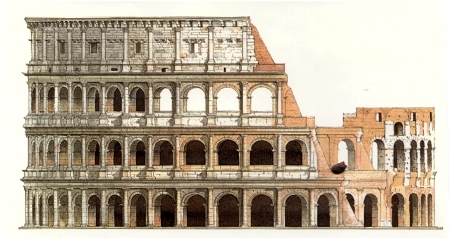 The ground plan of the palace is an irregular rectangle with towers projecting from the western, northern, and eastern facades. It combines the qualities of a luxurious villa with those of a military camp. The three main gates are still preserved to the height of the still surviving ramparts. These monumental gates are set into the middle of each of the rampart walls and led to an enclosed courtyard. The gate overlooking the sea on the southern side was simpler in shape and decoration. With so much to see within the Palace we will continue our tour until lunch. Diocletian's cabbages are still renowned as a local speciality as well as other delicacies slow cooked in a pot called a Teka'. In the afternoon, we will visit the Archaeological Museum in Split, rightly described as the oldest museum in Croatia. Sunday 13th September. We will start the day with taking the local bus to visit Salona, the Roman town set on the hills above Split where we will visit the small museum and the rest of the town. In the afternoon we will take a local bus to Trogir situated on its own artificial island. Its rich culture was created under the influence of Greeks, Romans and Venetians. Now a UNESCO World Heritage Site the town is an absolute gem of architectural styles. â€¢ Entrance fees for museums and sites as specified in the itinerary. The trip does not include flights, transfers, hotels or meals (flights available from easyjet at about Â£49.99 - see- easyjet.com). 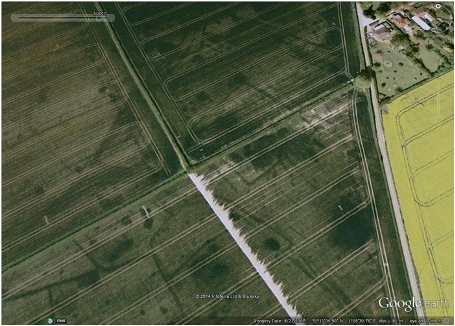 Our initial aerial survey was to the north of Dover along the Roman road to Richborough. As you will see each side of the Roman road is heavily populated with farms, villages and field systems. On this Bank Holiday weekend and the Bank Holiday Monday we shall look at the ways in which archaeological sites are recorded including standing buildings. Scale metric drawing will be the main theme of the course but also to include optical site level work. On the Monday you will have the opportunity to survey an impressive Roman and Anglo-Saxon sacred building at Stone Chapel just to the west of Faversham. Â£50 per person for members. We will be spending two weeks in association with the University of Texas investigating the Roman Emporium (Villa B) and the Roman palace (Villa A) at Oplontis next to Pompeii. See 'NEWS' for details. Both sites offer a unique opportunity to dig on iconic World Heritage Sites in Italy and is a wonderful once in a lifetime opportunity. Cost is Â£175 a week which does not include board or food but details of where to stay are available (Camping is 12EU a day and the adjacent hotel 50EU). Email Paul Wilkinson at info@swatarchaeology for update on places left. 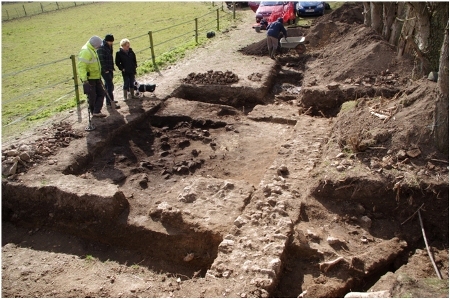 A weekend investigating a substantial Roman building to find out its form and function. This is a newly discovered site confirmed by ground penetrating radar with tremendous potential and is one of the many Roman buildings earmarked by the Field School for further work. 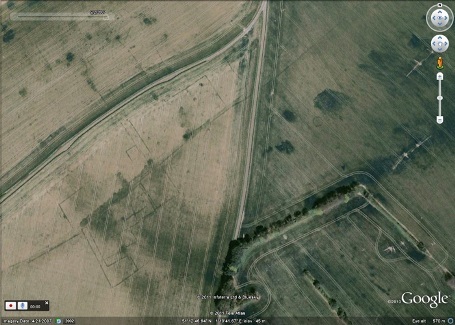 We have on our register a further six Roman sites in Swale District which will need similar research. 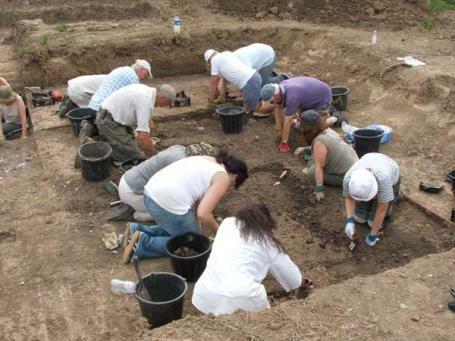 A weekend course on the theory and practice of archaeological survey. Methods from basic optical site levels to laser technology and GPS will be taught. The work of the Ordnance Survey will be explained from the early days of triangulation using a base line to the use of GPS and its drawbacks. 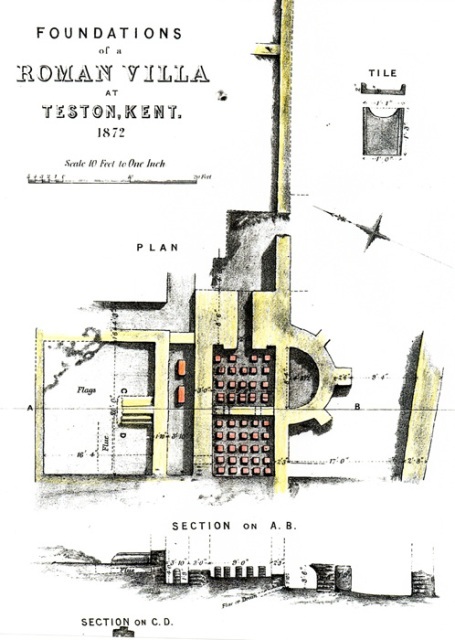 Practical exercises will take place at a Roman building at Sittingbourne on plan drawing. Context sheet recording for archaeological sites will also form part of the course. Cost is Â£50 witch includes free membership. For members who wish to dig the weekend is free. An opportunity to participate in an important excavation of a Roman waterside building at Abbey Barns in Faversham. 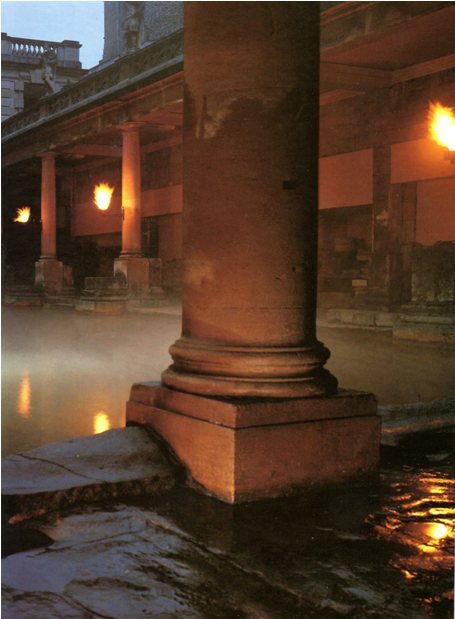 Originally built as an aisled building for the adjacent Roman villa it was then rebuilt as a huge bath-house. 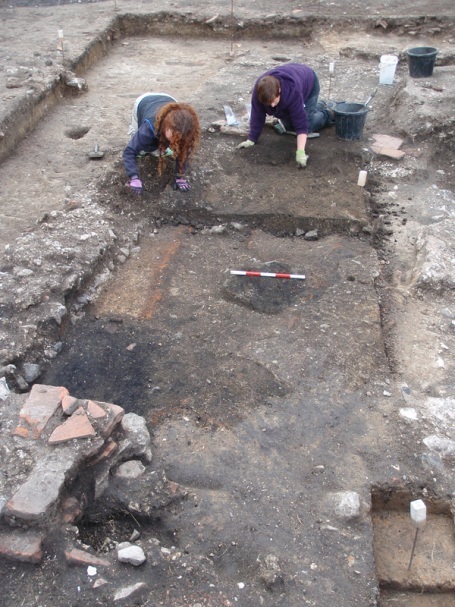 Our task for this year is to investigate the east end of the building to clarify if all the building was entirely a bath-house or whether it was attached to a domestic building. We will also investigate the waterway with augers to see if there any remains of Roman shipping and also investigate additional Roman buildings in the vicinity of the bath- house. This is an important investigation which will help to clarify the extent and importance of Roman Faversham and its harbour. It is essential that anyone thinking of digging on an archaeological site is trained in the procedures used in professional archaeology. Dr Paul Wilkinson, author of the best selling "Archaeology" book and Director of the dig, will spend five days explaining to participants the methods used in modern archaeology. A typical training day will be classroom theory in the morning (at the Field School) followed by excavation atÐ’ Abbey Barns Roman Villa in Faversham under the guidance of trained archaeologists. 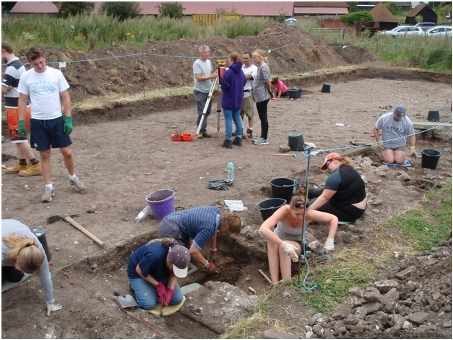 Monday 3rd August: Why dig? A free PDF copy of "Archaeology" 3rd Edition will be given to participants. Cost for the course is Â£100 if membership is taken out at the time of booking. Non-members Â£175. The day starts at 10am and finishes at 4.30pm. For directions to the Field School see 'Where ' on this website. For camping nearby see 'accomodation'.